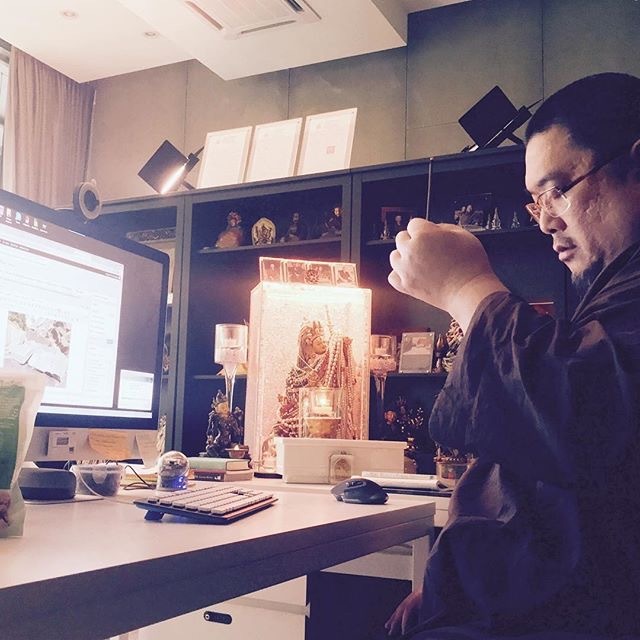 Tsem Rinpoche offering prayers before publishing a blogpost, for it to be of benefit to others. For Rinpoche, an activity is only worth doing if it results in the benefit of someone else. So before every major blog post, Rinpoche will offer incense and prayers to Dorje Shugden, asking for his blessings and assistance that the information will clear the reader’s doubts and obstacles in their Dharma practice. In this case, Rinpoche was publishing the post titled “Bigger and more Buddha statues makes a difference | 为何佛像越大、越多越好“.